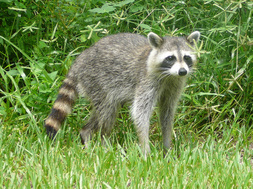 Raccoon's can cause alot of damage under your house in inside your attic if left alone. The best thing you can do is have them removed as soon as you notice a problem. Other wise they will continue to do more damage and move into other areas of the house. There are different options for removing raccoon's from a house and we are able to find the best method for your problem. The main reason raccoon's are attracted to peoples houses are food and shelter. You can help to prevent this problem by having your home properly sealed and not leave food or garbage out that might attract critters. For West Linn Raccoon Control Call 503-201-2432 Today!